San Diego, CA – April 24, 2018 – AltexSoft, a Travel & Hospitality Technology Consulting company, will take part in Digital Travel US that will host travel, hospitality, and leisure companies that will take place on April 30 – May 02, 2018 in Green Valley Ranch in Las Vegas, Nevada. The conference is intended for marketing executives in the travel industry to share ideas that will generate a more personalized experience in eCommerce. This year, the three-day event will open its doors to 450 digital travel specialists and 80+ speakers. Our team is visiting the conference to share their experience in travel experience personalization and discuss digital strategies that help engage customers in the world of eCommerce. The first day of the conference will be dedicated to sharing insight on creating better digital experience for travelers while the second day will focus on the ways machine learning helps drive the power of personalization. On the last day, attendees will be able to engage in conversations about the future of travel and new technology that accelerates growth. 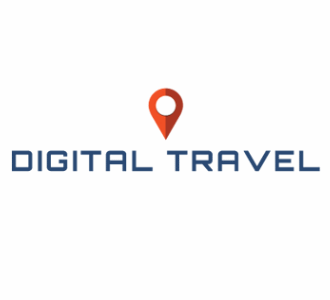 Among attendees and speakers at Digital Travel you may find such industry leaders as Google, Marriott, Skyscanner, Hotel Tonight, and more. Find the whole list of speakers here. Digital Travel, organized by Worldwide Business Research, is the digital marketing, eCommerce strategy and customer engagement event for travel, hospitality and leisure companies.